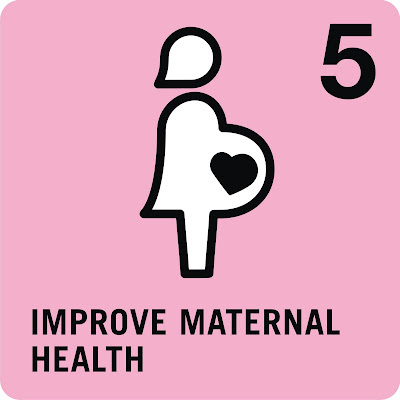 "...commemorate motherhood by saving the lives of mothers halfway around the world -- such as in this impoverished nook of Somaliland in the horn of Africa [where] an extraordinary Somali woman, Edna Adan, runs a maternity hospital here to make childbirth safer. We in journalism often focus on villains, but Edna is one of my heroes. She’s a tireless 73-year-old whose passion is to save her countrywomen’s lives, get them access to family planning and end female genital mutilation. [...] In a column a year ago, I suggested that we move the apostrophe so as to celebrate not so much Mother’s Day -- honoring a single mother -- but Mothers’ Day, to help save mothers’ lives around the world as well." Hear, hear! And let's salute social entrepreneurs like Zubaida Bai whose AYZH business creates and distributes the JANMA Clean Birth Kit which allows rural Indian midwives to deliver babies under the most hygienic conditions possible. Just this past week at the Muddy I met with entrepreneurs making affordable endoscopy tools for fixing fistulas. And our MIT Sloan Global Health students recently presented their work on effective health care operations. Our D-Lab students similarly just yesterday. All of these and more are tangible examples of development action. For the sake of mothers and their children everywhere, let's accelerate our efforts and achieve the Goal before this decade is done.